Vivo is intensively using selfie camera for marketing of their Smartphone, now Vivo V5 Plus is another front camera focused phone launched by the company. This mobiles key feature are Android v6.0 Marshmallow, 5.5 inches FHD Display, 16 MP Primary | 20 MP + 8 MP secondary camera, Snapdragon 625 CPU, 64 GB Internal Storage, 4 GB RAM and 3055 mAh battery. The Combination of metallic unibody design + 2.5D curved glass for display and Gorilla Glass screen protection making its perfect body balance to show off. In the rear side of Smartphone there are curved corners, top and bottom of backside have antenna bands which are improving the aesthetic value of overall smartphone design. even after having metallic unibody phone doesn't feel slippery in hands. the placement of functional keys like volume rockers and power button are fixed on the right edge, and bottom houses USB Cable slot, 3.5 mm jack and speaker Grille. 2.5D Glass in the front side also leaving the beautiful impression of phone, Its 5.5 inches FHD screen with 401ppi of display density looks vivid and sharp for any kind of media. In the maximum brightness phone works pleasantly in outdoor sunlight conditions. Other positive side of the display is that it is protected by the Corning Gorilla Glass 5. It also has Smart Split 2.0 feature makes multi-tasking easy by splitting the screen for running two different apps simultaneously. As we started writing about this phone we have said that it is camera-centric smartphone especially front camera, company has fixed 16 MP Rear and 20+8 MP front camera. The Dual selfie camera setup helps in capturing in-depth photographs, it also helps in taking DSLR type Bokeh effect to improve the overall quality of a picture. The primary 16 MP camera is quite good as it can take decent daylight photos and micro-photography is also pleasant, but the night photographs are somehow noisy to prevent this sensor turns photos softer. the front camera is good but the rear camera is slightly above average. The device is powered by the Snapdragon 625 having 2.0 GHz octa-cores and Adreno 506 GPU. Now here our objection is that if One Plus can offer Snapdragon 820 and 821 for same price range why can't Vivo? The Snapdragon 625 is although mid-range decently powered CPU but not working efficiently for the intensive gaming. 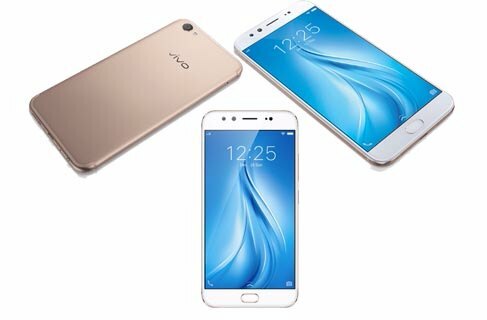 The Vivo's FunTouch 3.0 OS based on Android v6.0 Marshmallow is running very smoothly with this CPU and 4 GB RAM. You hardly feel any performance hindrance until you filled the phone with hundreds of apps or in running very heavy game. There is 3055 mAh battery inside powering the phone, which also supports Dual-Charging Engine technology (Fast charging) offers shorter duration for the charging time. Battery backup is average which can easily run for one full day for a typical heavy user. Metallic unibody premium design with 2.5D Glass on the screen. Dual camera for Selfies to enhance the overall picture quality. Snapdragon 625 along with 4 GB RAM ensures decent performance. Support Dual-Charging Engine technology for quick charging. Screen is protected with the Corning Gorilla Glass 5. Much expensive than counterpart devices of same price range and specs. No option for the Expending the memory by External SD Card. The Primary camera quality is not as expected. This phone is definitely a good deal for the Selfie lovers but there pricing can turn down the customers, People will love to have a phone with beautiful metallic design, curved glass and 20 MP front camera that can take amazing selfies but there are things like processor and battery which are not up to the standard that can justify its pricing (₹ 27999 ). There are already many options in India like OnePlus 3, Lenovo P2 and OnePlus 3T for Same or lower budget.